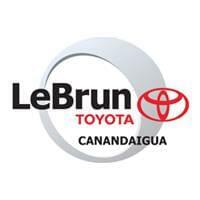 There’s nothing LeBrun Toyota loves more than to financially help our customers out when they are making a vehicle purchase. Take a look at our Finance Specials to find extra ways to save. If there are no specials available at this time, continue to check back for updated offers. Don’t forget to take a look at our New Car Specials and Used Car Specials for extra offers on great vehicles! Contact our team with any questions or test drive requests.